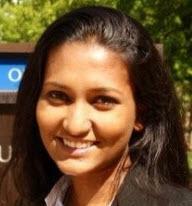 Dr. Romin Tamanna received her JSD (Doctor of Juridical Science) degree from the College of Law, University of Illinois at Urbana Champaign in 2017 where she undertook in-depth legal research, specializing in Environmental and Natural Resources Law under the supervision of eminent legal scholar in the field, professor Eric T. Freyfogle. Before that, she received her LL.M. from University of Chicago School of Law in 2011 where she was the recipient of Russel Baker Scholarship and Aga Khan Foundation Scholarship. Dr. Tamanna had earned another LL.M. specializing in International and Comparative Law and her initial law degree from University of Dhaka, Bangladesh where she graduated being in the top 1% of the class. Before coming into law practice, Dr. Tamanna was a member of legal academia and had taught in two top law schools in Bangladesh; i.e. University of Dhaka and Brac University School of Law. In her capacity as a Lecturer in Law, she had taught a range of courses including Labor & Employment Law, Constitutional Law and Law of Torts. Right before joining the TB Robinson Law Group, PLLC as an Associate, Dr. Tamanna worked as a Legal Research Associate at Soil Value Exchange - a non-profit environmental organization based in Houston and as a Legal Assistant at the Houston office of Walters Gilbreath, PLLC - a family law firm in Texas. As a Summer intern, she had worked for Prairie Rivers Network (PRN), Illinois researching on the water rights aspects. Dr. Tamanna is also engaged in pro-bono activities whereas she currently serves Daya, Inc., an organization fighting against domestic violence among the immigrant communities in greater Houston. In the past, she volunteered for the Land Conservation Foundation, a non-profit Illinois organization striving for conserving rivers and ecology. In law school, Dr. Tamanna was involved with Environmental Law Society and South Asian Law Society. She is now a member of the State Bar of Texas and the Houston Bar Association. Besides Texas, she is also admitted to practice in the High Court Division of the Supreme Court of Bangladesh and is a member of Dhaka Bar Association. Dr. Tamanna loves to take on new challenges and has an indomitable passion for law and legal scholarship. She is an avid traveler and a reader.